Bridlegate Ranch offers “Top Shelf” amenities to land and home owners in this Hill Country ranch estate community in Bandera, Texas! There are several local custom home builders available to build your dream home while utilizing the beautiful natural surroundings like lime stone bluffs, native oaks, grass lands, river fronts and the best Hill Country views on lots from 2 to 4+ acres situated on the Medina River, Texas.The developers of Bridlegate Ranch have brought all of the amenities you would expect in the city to the hill country—central water supply, underground utilities, paved roads, clubhouse, equestrian facilities, hiking & riding trails, soccer and baseball fields and other recreation facilities—while maintaining the Unbridled Spirit of the open range. Whether you would like to see a Bridlegate owned lot or a re-sale lot in Bridlegate, I can help you. Bridlegate is a gated community, so you need to schedule a showing. To do so call Larry Wood at Bandera Texas Real Estate at (830) 460-0889. It was settled in 1867 by former New Yorker, Judge Edward M. Ross, who had fought in Mexican war, then served in 1850’s at Camp Verde, army’s camel post near Bandera. Daughter Kate Ross, wife of Ebenezer Buck, of a prominent pioneer family, inherited the ranch in 1901. Offering fine foods and hospitality, the Bucks established this as Bandera’s first guest ranch in 1920, continuing it until their deaths in 1941. It became a recorded Texas Historic Landmark, 1966. Here is an excerpt from Texas Monthly: Dude ranches didn’t straggle into Texas until around 1920, when Bandera’s now-defunct Buck Ranch began welcoming paying guests for $10 a week. Ebenezer Buck and his wife, Katie, whipped up picnics and ran the place. Uncle Frank Buck led trail rides and, at night, would teach guests the cotton-eyed Joe and the schottische. “You can run more dudes to the acre in these hills than you can cattle,” one of the Bucks’ neighbors reportedly quipped. By 1947 at least 25 dude ranches dotted the state, many of them clustered around Bandera—a situation that hasn’t changed to this day. Own your slice of heaven in the sought after Bridlegate Ranch! This is a beautiful piece of property for your dream home! Hear the gently flowing waters from your bedroom window during the raining season! don't miss out on this beauyiful piece of property priced to sell!!!! And don't forget about the awesome amenities that come with owning your property in this sub-division. They are outstanding!!! Come experience country living in the beautiful Master Planned Community of Bridlegate Ranch. This lot is level and build ready with no clearing needed. Infrastructure including power,water and phone ALL in place and ready. The community has 2 club houses w/suite rental amenities for property owners, a private community river park with riverside picnic benches, Sports park with a baseball diamond and plenty of room for other sports activities, Horse stable, riding trails, modern equipped workout room. Build your Dream Home in beautiful Bridlegate Ranch. Lot 235, 2.34 Acres on Highgate Dr. offers plenty of space to build that Dream Home. Located on a cul-de-sac, close to the community Ranch House community pool and community mailbox cluster. This Master Planned, limited access community in the Bandera hill country offers, 2 community pools, horse riding tails, community river/sports park, tennis & basketball courts and a community (nicely equipped) workout facility. Rental amenities available as well!! Your own slice of the TEXAS Hill Country! Gorgeous views from this 6.42 acre lot in BRIDLEGATE RANCH. Perfect site for your beautiful new home. Majestic live oaks and fantastic amenities, includes Medina River access ~ tube, kayak, or simply relax along the riverside. Gated community with amenities that include clubhouse with entertaining space and guest quarters, pool, tennis court, fitness center, riding trails, volleyball net, baseball/soccer field, access to the beautiful river park and much more. One of the largest single lots in the gated Bridlegate Ranch subdivision. 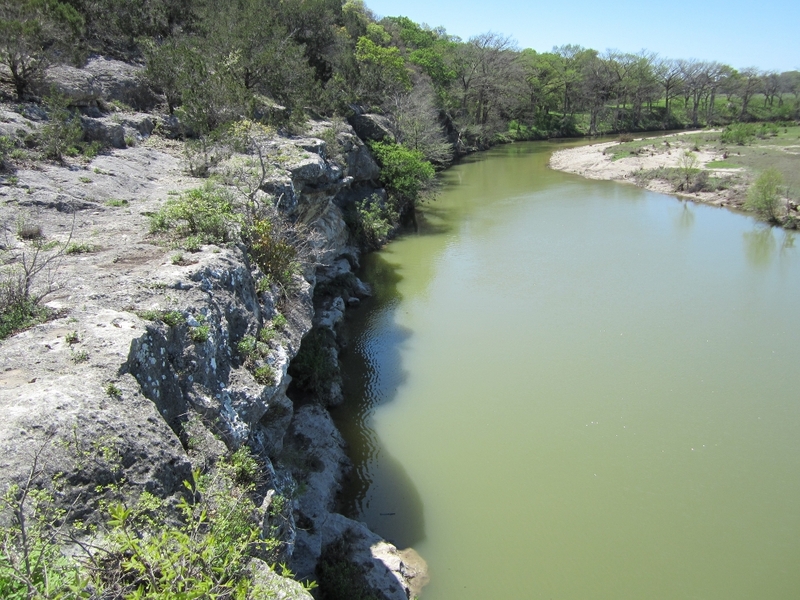 Seasonal creek, mature oak and ashe juniper trees, rocks and maybe fossils, and wildlife exist on the property. Barndominiums are allowed for temporary and occasional stays until permanent house is built. Building and other restrictions apply. Subdivision offers two community horse stables, a trail, two swimming pools, access to the clear waters and great fishing in the Medina River, and much more.